Visceral Games, the studio behind Battlefield Hardline and who are currently working on an unannounced Star Wars project, has been hit with layoffs in what EA describes as “a small staffing change”. “We made a small staffing change in our Visceral studio today to support the needs of the studio’s two current development priorities: content for Battlefield Hardline Premium and an unannounced Star Wars project,” said an EA spokesperson to Gamespot. 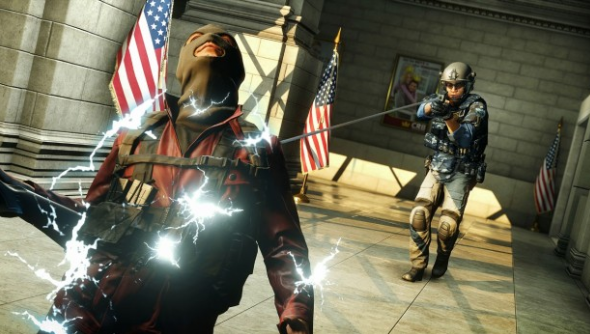 EA have reported being happy with the sales of Battlefield Hardline, so there’s no immediate evidence that poor results from Hardline are directly responsible for the staffing change. That unannounced Star Wars project is the one former Uncharted creative director Amy Henning is working on, as well as Todd Stashwick, co-writer on the project. Both Henning and Stashwick remain employees at Visceral confirmed EA. As ever, we wish the best of luck to any employee at Visceral affected by the change.